When ideas are flying you need to capture them quickly! Our customizable glass boards rep your brand while giving you ease of application. They can be used with dry or wet markers and clean up easily. 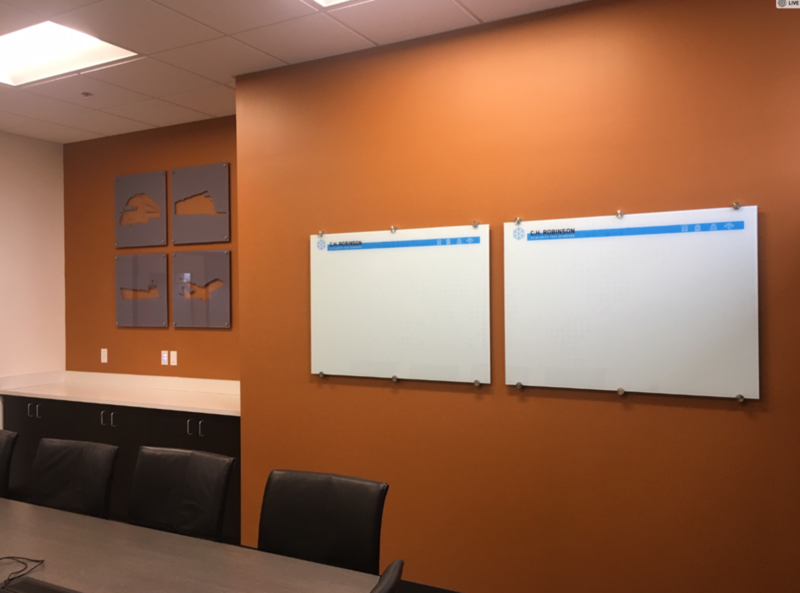 When trying to get your message across to the office our self-healing tackable boards are not only functional but fun! They are also customizable and come in a variety of fun colors. If magnets are your thing then we have what you need. Our mag-receptive panels also can be custom designed to represent your office, location and brand. Take a look at the solutions we’ve provided for our clients.